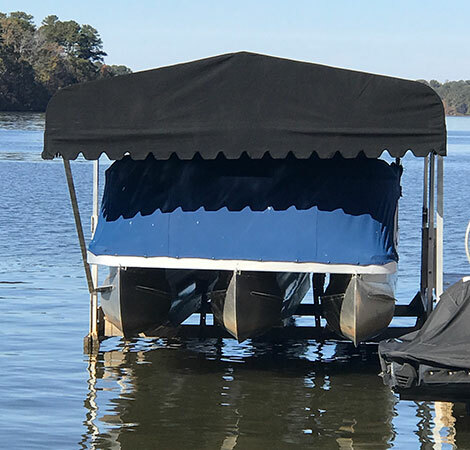 Sunbrella® fabrics are the smart choice for canopies and have been the trusted choice of boaters around the world for over 50 years. We offer a variety of in stock fabrics colors; as well as a comprehensive selection of custom colors to suite our customers’ tastes. Fade-resistant Sunbrella® fabrics protect your investment from salt water and all kinds of weather. And because it's woven, Sunbrella® breathes, so it doesn't trap heat and moisture like vinyl. Vinyl can mildew, but Sunbrella® looks great season after season.